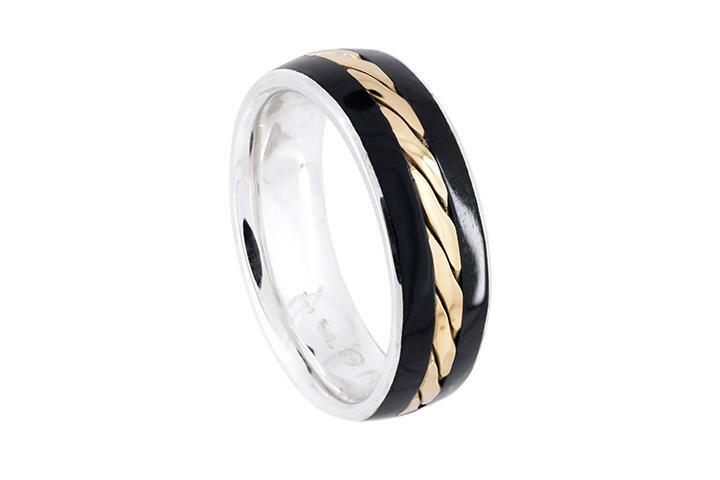 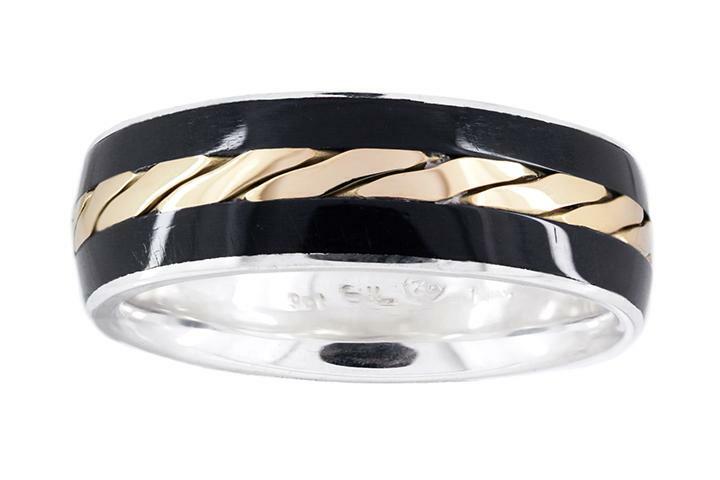 This Gents Ring features a 9ct Yellow Gold twist on a 7mm wide dome, flanked by Black Teflon inserts. 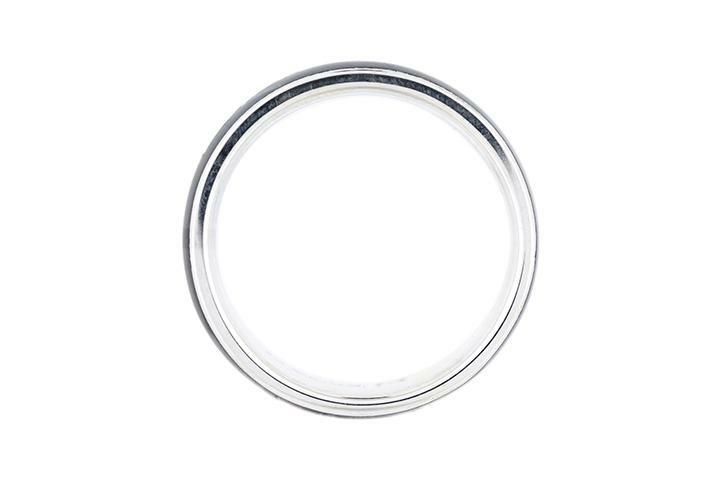 The inner sleeve is made from Silver with a comfort - fit curve. 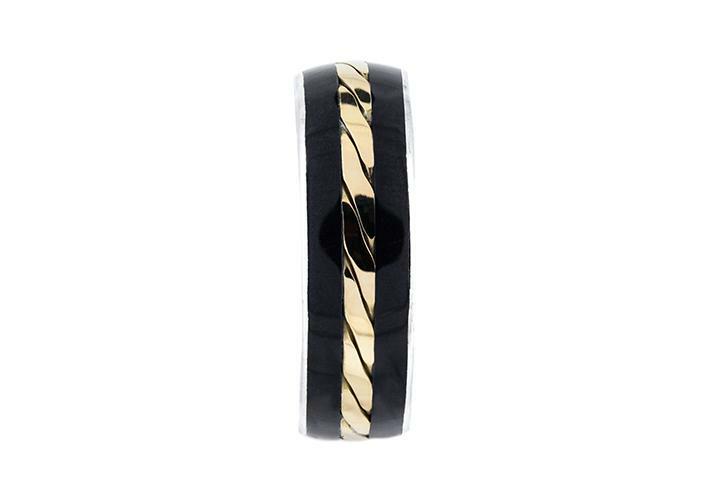 A fine edge of Silver is visible from above, off-setting the Yellow Gold twist and Black Teflon Inserts.